Great value, great style. 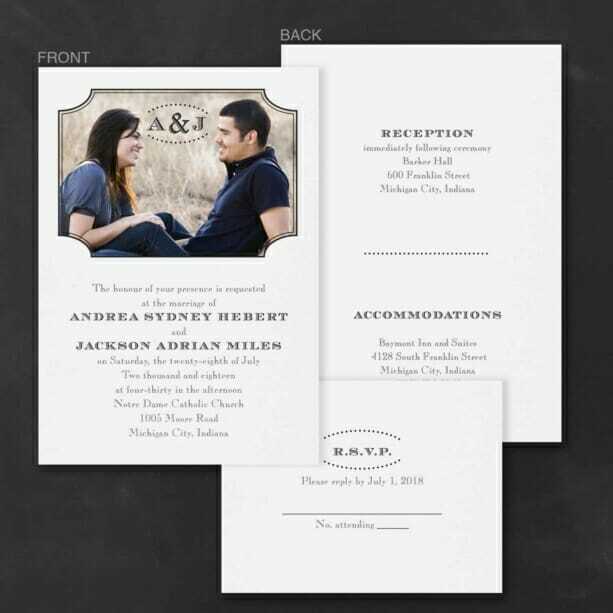 Your photo at the top of this affordable wedding invitation show how in love you are. We cut the pieces apart for you.